The guide to life mastery. 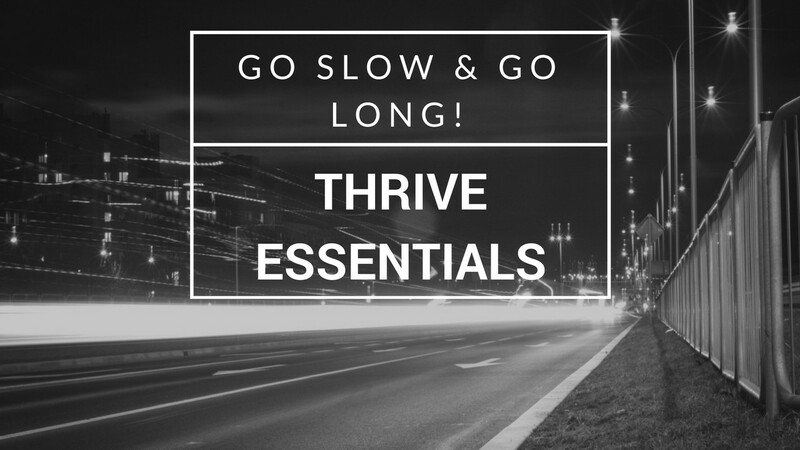 I am very excited to be publishing my first article on Thrive Global. As someone who’s been ardently pursuing and researching what makes people thrive over the last 52 weeks, I think that this is the right time for me to reach out to people with a similar mind-set on a platform like this. Over the last year, I left my well paying Fortune 500 corporate job to explore my country and my mind. If you want the longer version of this answer, you can check out my first blog! Why I quit my job to study, volunteer and travel. In this post I will go over the only essential thing(well not a thing, it is a mind-set but still) that makes people thrive. There were Sita and Gita, sisters who were married off around the same tender age of 15. In the early 1900s, child marriage was the norm and neither of them knew any better until they were adults in their own right a decade or two later. Fortunately for them, both were blessed with wonderful husbands who took good care of them and allowed them the liberty that was unheard of, for their time. In time, both were blessed with baby girls , Simran and Ganga. Money was always in short-supply. The wriggle room that a little bit of extra cash provided was now constrained with new entrants(and associated expenses) to the families. “My Simran is going to become an engineer!”, exclaimed Sita. She had heard of great jobs at the British East India Company near Calcutta. A few hours journey from Jamshedpur where they were based out of. Gita sighed. She wondered when Sita would get a reality check. She knew too well to tell Sita otherwise. Gita was always the happy-go-lucky one, never bothering about the little things or planning things through. Sita on the other hand was the rational optimist, the dreamer with a plan. Gita was too young to grasp the depth of Sita’s personality and wrote her off as someone with her head up in the clouds. Despite having a year between them, to an outside it almost seemed like they were twins. They were in many ways, but there were also stark contrasts in their personalities. What had started out as a fairy tale was well on its way to become a tough life. They had never imagined having children and taking care of a household would be this difficult. The condition was exacerbated with the rain gods playing havoc with their crops. Sita knew that if she didn’t do something , Simran’s life would not be very different from the one that she and Gita have. The sisters situations were similar. It was just that Sita refused to pass on her situation to her kids. She had started setting aside a portion of the house-hold earnings towards Simran’s education. This was done by moving into a smaller house, cutting down on desserts and luxury food products and even reducing food portions for the entire house. Gita was content with having something to eat. She never thought that a couple of rupees here and there would make any difference to Ganga. Her family was already living a modest life and she was not interested in making their life harder than it already was. Money was the domain of the man of the house she thought, as she comforted herself. As the years rolled on, Simran and Ganga blossomed into smart, young women who were confident, beautiful and loved by everyone around. Simran however walked a few miles longer as Sita was sending her to a private school that taught English while Ganga went to the local government school. This continued upto grade 10 after which it was time for them to get married. Ganga was married off when the time came. Everyone in the village was shocked to know that Simran would be moving to Calcutta to continue her education for a couple more years. They all wondered how her parents were letting her go to the big city, one filled with uncertainties. Little did they know that Sita had this planned for 15 years. When Ganga was having kids of her own, Simran was about to graduate as an Engineer in Calcutta. The first in her hamlet to have a science graduation begin work with the East India Company. Simran’s success was not an accident, it was decided by her mother the day she was born. How is this connected to life mastery? Think long term — The single most important factor attributable to Sita and Simran’s success was that it was 20 years in the making. Sita made short term sacrifices to make her child a success. We can apply this to our personal lives as well. How many times have we taken the short-cut? Not faced our fears? Spent that extra money shopping instead of investing? Skipped that class we could not afford to miss? Decisions lead to destiny — First decide where you want to head, and then change your actions to make that decision a reality. Sita had decided the moment Simran was born that she would be educated and successful. She had begun with the end in mind. Persevere — Hard-work is the name of the game. But it isn’t about a day or a year. The amount of perseverance we must have really depends on the magnitude of our dreams and aspirations. In Sita’s case, she had to persevere and not give up saving money from her meager income for 20 long years to make her dream a reality. In a superficial fast moving world, it is very important to lose focus on what really matters and spend some more time on Facebook, sleep just a little bit longer or eat just that extra piece of cake. But remember that these are the luxuries that we can afford ourselves AFTER we have achieved our goals for the day, week, month, year or decade. If it’s not clear what is important, then I would suggest some meditation and time off to find out where your heart strings are tugging at.